Dr. was born at "Toddsbury", Gloucester County, Virginia, on 2 July 1791.1 He married Hester Eliza Henrietta Van Bibber at 'North End', Mathews County, Virginia, on 25 October 1821.2 He married Martha Tabb Tompkins at 'Poplar Grove', Mathews County, Virginia, on 22 July 1828.3 He married Ellen Adams Foster at Brooklyn, Kings County, New York, on 6 October 1846.4 Dr. died on 11 April 1864 at 'Auburn', Mathews County, Virginia, at age 72.1 His body was interred after 11 April 1864 at Gloucester County, Virginia, at Ware Church. [S676] Source: Richmond Enquirer, Friday November 9, 1821, page 3, column 6. [S268] Married by Rev. William D. Cairnes. [S254] Married by Rev. Francis Vinton. Hester was born at Mathews County, Virginia, in 1800. She married Dr. Henry Wythe Tabb at 'North End', Mathews County, Virginia, on 25 October 1821.1 Hester died on 4 February 1823 at 'North End', Mathews County, Virginia.2 Her body was interred in February 1823 at Gloucester County, Virginia, at Ware Church. Ellen was born at Norfolk, Virginia, in 1888. She married Dr. Henry Adams Tabb at Norfolk, Norfolk County, Virginia, on 27 August 1913.1 Her body was interred in 1951 at Gloucester County, Virginia, at Ware Church. Ellen died in 1951 at Gloucester County, Virginia. [S284] There were no children form this marriage. Ellen was born at Boston, Suffolk County, Massachusetts, on 29 October 1828. She married Dr. Henry Wythe Tabb at Brooklyn, Kings County, New York, on 6 October 1846.1 Ellen died on 5 February 1858 at 'Auburn', Mathews County, Virginia, at age 29.2 Her body was interred in February 1858 at Gloucester County, Virginia, at Ware Church. [S32] Died of a disease of the stomach. Philip was born on 7 October 1804.1,2 Philip died on 23 September 1810 at age 5.1 His body was interred after 23 September 1810 at Gloucester County, Virginia, at Ware Church. [S643] Source: R. Bolling Batte Papers in posession of The Library of Virginia, Richmond, Virginia, biographical Card Files, Tabb, K., Card 129 of 144 (http://198.17.62.51/cgi-bin/drawerIII/disk8/CC/BA/035/T0464). John was born at "Toddsbury", Gloucester County, Virginia, on 15 September 1807.1 He married Margaret Adams at Danville, Virginia, on 10 June 1834. John died on 10 March 1871 at 'Newstead', Gloucester County, Virginia, at age 63. His body was interred in March 1871 at Gloucester County, Virginia, at Ware Church. Margaret was born at Pittsylvania County, Virginia, on 19 May 1818. She married John Henry Tabb at Danville, Virginia, on 10 June 1834. Margaret died on 14 August 1886 at Gloucester County, Virginia, at age 68. Her body was interred in August 1886 at Gloucester County, Virginia, at Ware Church. [S510] Source: R. Bolling Batte Papers in posession of The Library of Virginia, Richmond, Virginia, biographical Card Files, Tabb, A, Card 66 of 136 (http://198.17.62.51/cgi-bin/drawerIII/disk8/CC/BA/035/T0463). [S595] Source: R. Bolling Batte Papers in posession of The Library of Virginia, Richmond, Virginia, biographical Card Files, Tabb, K, Card 48 of 144 (http://198.17.62.51/cgi-bin/drawerIII/disk8/CC/BA/035/T0464). [S569] Source: R. Bolling Batte Papers in posession of The Library of Virginia, Richmond, Virginia, biographical Card Files, Hubard, Card 64 of 114 (http://198.17.62.51/cgi-bin/drawerIII/disk8/CC/BA/020/H0257). [S570] Source: R. Bolling Batte Papers in posession of The Library of Virginia, Richmond, Virginia, biographical Card Files, Hubard, Card 65 of 114 (http://198.17.62.51/cgi-bin/drawerIII/disk8/CC/BA/020/H0257). Paulina was born on 19 February 1820. Paulina died on 28 February 1820. Her body was interred in March 1820 at Gloucester County, Virginia, at Ware Church. Lucy was born on 21 June 1821. Lucy died on 29 October 1822 at age 1. Her body was interred after 29 October 1822 at Gloucester County, Virginia, at Ware Church. Lucy was born at Gloucester County, Virginia, on 7 March 1836. 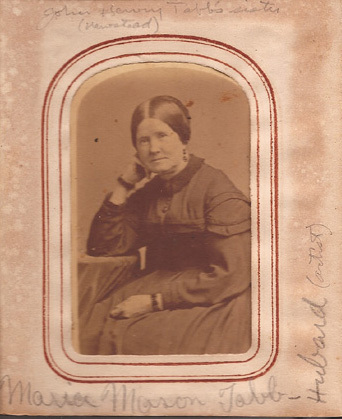 She married Hammond Dugan on 14 June 1859. 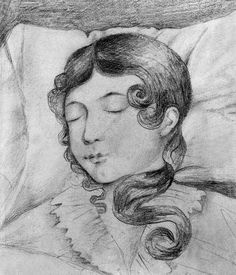 Lucy died on 28 December 1859 at 'Newstead', Gloucester County, Virginia, at age 23. Her body was interred after 28 December 1859 at Gloucester County, Virginia, at Ware Church. Isabella was born on 4 September 1837. Isabella died on 27 March 1900 at 'Newstead', Gloucester County, Virginia, at age 62. Her body was interred in 1900 at Gloucester County, Virginia, at Ware Church. [S33] (See his Civil War Record in the National Archives.). Maria was born in 1852. Her body was interred in 1931 at Gloucester County, Virginia, at Ware Church. Maria died in 1931 at 'Newstead', Gloucester County, Virginia. Margaret was born on 26 March 1843. Her body was interred in January 1915 at Gloucester County, Virginia, at Ware Church. Margaret died on 15 January 1915 at age 71. He married Kate Kemp Anderson. Arthur was born on 27 February 1850. His body was interred in January 1888 at Gloucester County, Virginia, at Ware Church. He was baptized on 18 January 1888. Religion: He was baptised on his death bed.. Arthur died on 19 January 1888 at age 37. John was born at 'Elmington', Gloucester County, Virginia, on 12 February 1845. He married Cynthia Claxton Tabb at Fredericksburg, Virginia, on 1 February 1883.1 John died on 14 December 1920 at Gloucester County, Virginia, at age 75. His body was interred in December 1920 at Gloucester County, Virginia, at Ware Church. [S255] Married by Rev. R. J. McBryde, in St. George's Church. Cynthia was born at 'Auburn', Mathews County, Virginia, on 26 July 1850. She married John Newstead Tabb at Fredericksburg, Virginia, on 1 February 1883.1 Cynthia died on 9 September 1921 at Gloucester, Gloucester County, Virginia, at age 71. Her body was interred in September 1921 at Gloucester County, Virginia, at Ware Church. [S310] Tabb Family Bible Records. Pages from the Bible belonging to Alexander Tabb now in the posession of Mrs. Lois Thornton, a daughter of Osie Tabb Vaughan. Information supplied by Joseph V. Patterson, 2510 N. W. Norwood Place, Camas, WA 98607. He married Olive Spindle. John was born at Gloucester County, Virginia, on 28 March 1890. His body was interred in 1956 at Gloucester County, Virginia, at Ware Church. John died in 1956. [S35] Source: The Beverly Family of Virginia, 1956, by John McGill. [S566] Source: R. Bolling Batte Papers in posession of The Library of Virginia, Richmond, Virginia, biographical Card Files, Lancaster, Card 65 of 158 (http://198.17.62.51/cgi-bin/drawerIII/disk8/CC/BA/003/L0277). [S421] Source: Pocahontas' Descendants by Stuart E. Brown, Jr., Lorraine F. Myers and Eileen M. Chapper, A revision, enlargement and extension of the list as set out by Wyndham Robertson in his book Pocahontas and Her Descendants (1887), The Pocahontas Foundation 1985. [S556] Source: R. Bolling Batte Papers in posession of The Library of Virginia, Richmond, Virginia, biographical Card Files, Robertson, J, Card 59 of 129 (http://198.17.62.51/cgi-bin/drawerIII/disk8/CC/BA/031/R0418). Powhatan was born at Richmond, Henrico County, Virginia, on 24 September 1820. He married Katherine Harrison Tabb on 25 November 1879.1,2 Powhatan died on 12 October 1882 at 'Brighton', Mathews County, Virginia, at age 62.1 His body was interred in October 1882 at Mathews County, Virginia, at Christ Church Cemetery.